Kavita Nair of Shamshad Radio & Television Network speaks about misconceptions of Afghan media, and the country. At just 37, Kavita Nair, a Mumbai native, has lived a life many can only dream of. 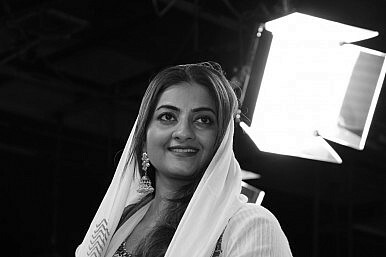 Based in Kabul, Afghanistan, and working for a relatively new Afghani media house, Shamshad Radio & Television Network (STRN) as a Director of Project Management and Business Development, Nair’s love for her second home, Afghanistan, is deep-rooted and unflinching. A graduate of Columbia’s well-known School of International and Public affairs (SIPA), Nair speaks to The Diplomat about her journey to Kabul, Afghanistan’s thriving media industry and living in one of the world’s most volatile countries as a single parent and media professional. Did you always want to live and work in Afghanistan? I never dreamed of living and working in Afghanistan. Prior to my move, when I’d think of Afghanistan, I’d think hijacked aircrafts, the Taliban, public executions, the war on terror, jihadist rhetoric, and lots of dark beards and blue chadors. But that changed when a college professor recommended a book, Caravans for coursework. I did not like that book at all. I did not like the way the author portrayed Afghans as a backward and mindless group of people. That may have been the author’s experience, I do not discount it, but I remember being angered by it. Therefore, I started to pick up books on Afghanistan at my township library. What started as simple curiosity became a flaming passion until I was obsessed with visiting the country at least once. Even after I had my son, Mikhail, I could not stop scouring mosques and Afghan community centers for a Pashto tutor. I was determined to learn the language. but that was easier said than done. I found my first Pashto tutor only after 18 months of pursuit! Two tutors later, I was 100 percent sure that I had to live and work in Kabul at least once. When did you first visit Kabul? Was it daunting when you eventually made your big move? I visited Kabul in the summer of 2009 for the first time. At the time, I was still a student at SIPA. It was for an eight-week internship program with the Pajhwok Afghan News Agency. I had interviewed the publication’s editor-in-chief in New York for a paper I was writing on Afghan media, as a part of my coursework. I asked him if he accepted interns, and that’s how it all started. I had to leave my son in Mumbai with my mother – she refused to let me take him on “this suicidal journey” as she put it! I wanted to visit Afghanistan on my own, to see if it really was a place I could work and live in, with my child in tow. When I arrived in Kabul I was not disappointed. I am a realistic person – Kabul was exactly what I expected, but the people took me by surprise. They were really warm and friendly, but also very intelligent, shrewd and charming, both men and women. I did not expect that. You’re not only female, but also a single parent working in Afghanistan’s media sector – that’s incredibly gutsy and inspiring. To an outsider, Afghanistan appears very unsafe and daunting – what’s life really like in Kabul? Life in the ‘Stan (as I lovingly call it) is not without its challenges. Believe it or not, I came prepared for it. I had gleaned enough information from books and people before I landed here, so I did not expect a party city or a city where I would fall in love and live happily ever after. This place is charming to me because of its challenges, not despite them. I am here to work through these challenges – I made that choice. Having said that, it is not as bad as the Western and even regional media reports. It is weird: I have met some of these reporters – they love it here, they work, socialize and look like they are having a ball, but when they write about it, they only highlight the negative parts. Sure, this place has its dangers – foreigners are targeted frequently. Case in point: in 2014, a Lebanese restaurant was targeted in the run-up to the presidential elections. A lot of foreigners lost their lives. I for one, keep to my work and my little family. My chador is always on top of my head. I dress as conservatively as possible. I socialize with people I have known for a very long time, but not into the wee hours of the night. You will never see me drinking or dancing anywhere. And at the risk of offending a lot of people, I must admit that if a restaurant or a hotel has an expat clientele, then you will rarely see me there. I try and live like a local to the best of my ability. Professionally, the challenge here is to convince people to let you work for them, to generate profits and invest in youthful innovation. And I am not referring only to the locals. Believe it or not, I know people who have ruined or are running businesses into the ground because they are incredibly short-sighted, or because they do not want to share power or authority. However, the ‘Stan is not unique; most underdeveloped economies go through these birth pangs! Personally, regarding threats to my life, I have never received any threats, I only get weird phone calls, proposing marriage or professing eternal love. Ninety-nine times out of 100, people pinpoint me as an Indian by just looking at me. I am quite proud of that, to be perfectly honest. I am so Indian, I would not be able to tone it down even if I tried, and I have tried so bloody hard to pass off as Afghan – case in point: my fluency in Pashto. But when I am out shopping in a mall or a market, they recognize me instantly, and some will go so far as to sing an out-of-tune Bollywood song. In sum, my experiences are more tiresome than threatening. You’re currently working for Shamshad Radio and Television Network [SRTN] – tell us a little about your role? I am in charge of managing large donor projects (with a small team), and acquiring new business through networking with potential donors, private and governmental organizations that SRTN did not have access to in the past. My knowledge of Pashto and Dari help me immensely, naturally, but a lot of my work is done in English, like writing proposals, creating business presentations, and presenting them to the potential donor/client. Client management is a very important part of my job. In your opinion, how has Afghanistan’s media landscape changed in the past few years? It has changed a lot, physically. In 2002 there was one sole state-controlled radio station. Now we have over 57 TV stations, 150 radio stations and hundreds of print publications, including magazines and newspapers all over the country. And television is gaining ground fast, especially in towns and smaller districts. So as you can see, we have the quantity but there is an urgent need to work on improving quality, and to focus energy on building the right infrastructure and generating revenues. It is still a very young industry. For example, Indian media – despite working in a relatively conducive atmosphere (i.e., no wars and conflict, no Taliban) – took a century to get to where it is. Are women in Afghanistan encouraged to work in the media? A lot of women work for the media in Afghanistan – the donor-funded programs encourage them to, and some of them do exceedingly well. Women here are tough and smart for the most part, and if they have the right educational qualifications and a strong support system then the sky is the limit for them. Every day I meet a young woman who surprises me with her wit and wisdom. It is quite refreshing. The world is yet to discover the canny Afghan woman! What’s the way forward for you; do you see yourself living in Afghanistan in the years to come? It’s tough to say, really. I was planning to leave this year. But I have been introduced to so many new work opportunities here – specifically in terms of creating my own portfolio of work – that I have decided to stay. Having said that, I am keeping my ear to the ground. This year is decisive for Afghanistan. If the security situation does not deteriorate, and if there are renewed investments in the Afghan economy, then I would like to stay for the near future, or at least until my son is older, at which point I know he will want us to move to an major city that is also close to the sea. 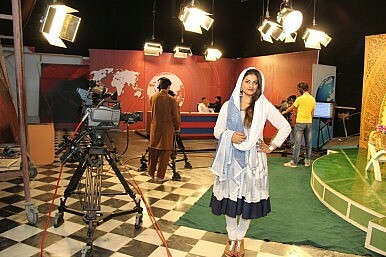 Where do you see Afghanistan’s media industry in the near future? It is still a fledgling industry. If the media businesses strategically invest in themselves, their personnel, new technologies and focus on revenue generation then the only way for them to go is up! Even some among the international donor communities have now realized they need to go beyond the overdone “strategic communications” mechanism to support the growth of the Afghan media. I am quite optimistic, really. How have the Afghan state and society reacted to media coverage over the past decade or so? In my opinion, media coverage has matured in the last decade. The 2014 presidential elections are a prime example. The media encouraged the common man to go out and vote. It was quite refreshing. Afghans are now very media and propaganda savvy. A sizeable percentage now knows how to use media to highlight problems with the political administration – naturally not all of them are done for the collective good! I am especially tickled when a regular Afghan, say my driver or my maid, react to specific news by categorizing it into its proper “ethnicity,” depending on which news channel reported it and how the report was broadcast. The international media often whitewashes stories, there is little analysis and more emphasis on shock and awe (i.e., basic) reporting. How are local media houses, like Shamshad, tackling that? Local TV houses are more concerned with news that affects them on a day-to-day basis. So the political reporting here is not basic. There is a lot of political analysis. Politicians are routinely criticized, answers are demanded of them, especially when food prices rise or there is a major security lapse that costs the lives of civilians. In that sense, for a young industry, I find Afghan media is more open and critical of the political administration, and also the insurgency and the Taliban. However, there is very little economic analysis on Afghan television in general. There is propaganda, similar to what we see in the regional and international media. It is a mix of both at present. Over time we hope that the propaganda will vastly reduce and there will be more focus and discussion on how Afghanistan is and can be integrated into the economies of the region and beyond. On a lighter note, what do young people like yourself do for fun in Kabul? My fun is restricted to tea parties once a week, where mothers like me get together either at home or a café and talk about whatever we want to talk about, while our kids raise hell close by. I do go out, without Mikhail, for dinners and lunches to restaurants once in a while, but most of them are purely for business. I really prefer hosting a dinner at home or going to a friend’s home for dinner, so the kids can hang out. Once in awhile we also take day trips to nearby provinces and enjoy a picnic or an Afghan barbeque by a river or lake – this I prefer to do with my Afghan friends rather than a bunch of expats. Did I forget to mention how beautiful, divine and provocative the Afghan landscape is? I also recently started an Instagram profile in response to all my friends and relatives in the U.S. and India who were wondering if I was covered in a black shroud all the time. There was no point in telling them that Afghanistan and Afghans are far more open-minded than people think, and for most expats it is easier and freer to live in Kabul than many other conflict zones. I had to show them. Back in 2009, I was a guest at the home of a prominent politician in Kunar, in eastern Afghanistan. I was on assignment. I was one woman and all I could see were dark eyes and dark beards. There must have been 20 of them but they were so caring, so respectful. It was a blistering hot day and I was melting under my chador. The head of the party asked me to take my chador off and relax. He said I was their guest so I could do no wrong. Imagine that! Special thanks to Mehr F. Husain for her input for this interview. Afghanistan can do more to bring women into the security forces, and the country will benefit greatly from doing so.